Our springtime special! Available now through May. Escape the busyness of your day and find solace in an enchanting Tea Garden where our gourmet teas and healthy herbal infusions soothe your mind and nurture body with every sip. Relax in our charming Tea Garden and savor lovingly prepared offerings such as traditional teas, handcrafted herbal infusions, locally baked pastries, petit sandwiches and tempting snacks. Shop our carefully curated selection of teas and tea ware, home and garden décor and eclectic gifts. Soak up some fresh air on our vibrant patios where all the beautiful fresh flowers, live plants and decorative potted plant arrangements are also for sale. We offer a wide variety of gourmet teas, both hot and iced, served according to your taste. In our efforts to bring you the very best, we work with premium tea companies and even offer a line of herbal infusions expertly blended by professional herbalist, Kayla Stieg of Valhalla Holistic Healing. These unique herbal infusions utilize herbs that have been used for centuries by various cultures for their health promoting properties. Create your own experience with our wide variety of tea styles. 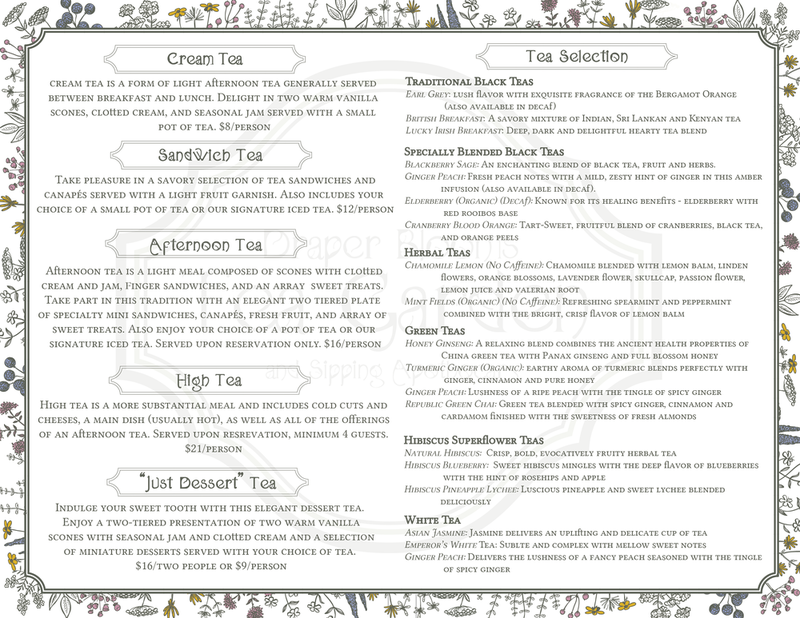 Indulge in an old-fashioned tea party with all the frills or simply unwind on our plant covered patio and nourish your body with a hand-crafted herbal infusion blended just for you. Each one is special in its own purpose, potency and flavor profile. 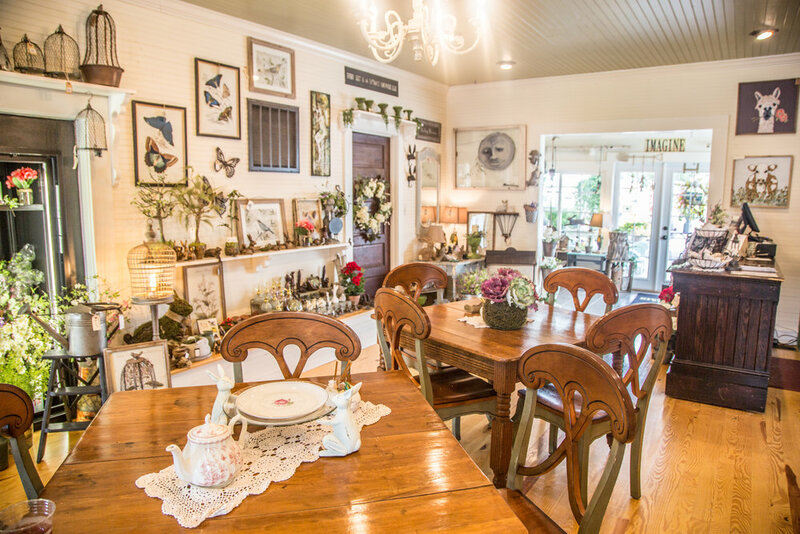 The Draper Blooms Tea Garden was created to provide our community with a peaceful gathering place that has the charm of an enchanted garden and the coziness of home. We host classes, tasting parties and food events as well occasional workshops and book readings. There is a private tea room that accommodates up to eight guests for small parties or you can reserve the entire venue for your special event.